I don’t think I’ve ever posted anything about MAC on here. Why? Because I’m not a huge MAC junkie. I mean, I like MAC, don’t get me wrong, and I own MAC products but they release soooo many collections that I can’t keep count. But I know a lot of makeup junkies are OBSESSED with MAC! People go crazy over getting their hands on limited edition MAC products and I know a lot of you have missed out. Well, MAC answered your call! 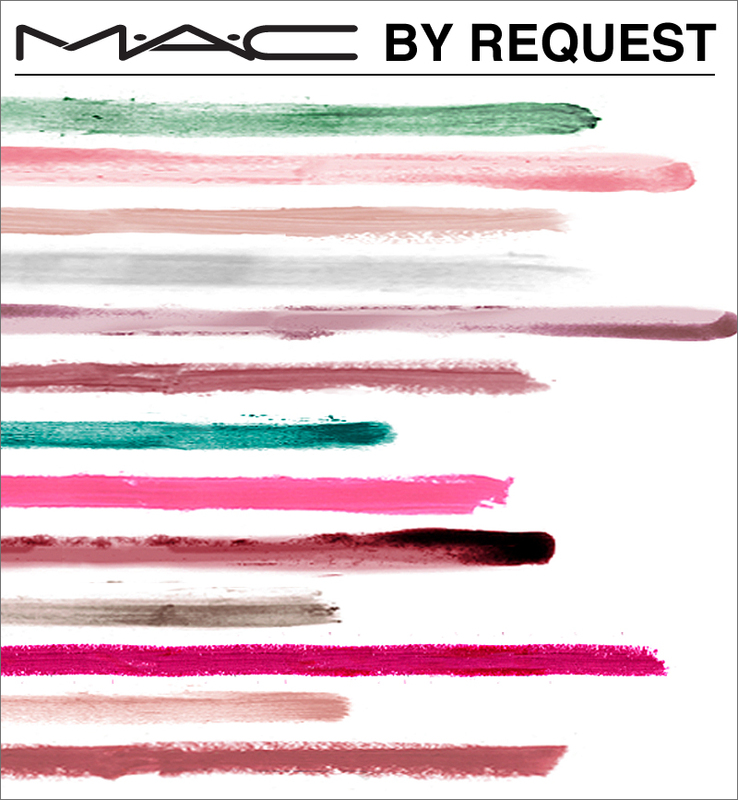 MAC is releasing a new collection called MAC By Request and its a collection completely chosen by you out of hard to find, limited edition colors! Starting on March 12 through March 30, you can vote on their Facebook page for the colors you want to see in this new collection. 18 popular lipsticks, lipglasses and eye shadows have been selected from past collections; the three shades with the most votes from each category will come back as an online exclusive, limited edition collection. The collection will be available online in North America in August and internationally Fall 2012. Reblogged this on Makeup Artist Tips. Loving the information on this website, you might have done outstanding job on the content material .